I'm a fan of Simone Elkeles. Even though my first book by her wasn't a huge hit for me, every one of her other books were really enjoyable for me so when I saw Crossing the Line I was really excited. However, Crossing the Line was a little bit of a let down for me. My biggest issue with Crossing the Line was the moments that seemed to stretch the imagination. And Crossing the Line had many of those moments. I mean does anyone use really personal information like a nickname as their password here in 2018? Ok maybe some people do, but a powerful attorney? One who would have potentially highly classified information from clients past and present in their possession? Yeah? Probably not. How about when you're trying to avoid being seen or caught by potential bad guys and your truck breaks down? You just decide to sleep in the BED of the truck that night? Oh but that's not all. You do the deed? REALLY? Because that's what you should really be doing in the back of a truck, at night, when you're trying to keep a low profile. The relationship between Ryan and Dalila went from zero to one-hundred pretty quickly. One minute they're still denying to have any connection and the next minute they're talking about their futures together. It was jarring for me how quickly that change came about which left it feeling a bit unrealistic. Do four-star hotels take check-ins without a credit card? In my experience they don't. That's because if you want anything like room service, pay per view, or the mini bar they can charge those things to the room which will charge your card. And when you've stumbled upon a brutal murder what's the first thing you should do? TOUCH THE BODY. Clean the face of the deceased and then decide to BURY THEM? Because the authorities won't need to do any investigating, right? Oh goodness. I'm sorry guys. Some of these things were just minor things and some were used to advance the story even though they're not realistic, but each of these incidences took me out of the story and caused me to roll my eyes big time. And some of these things were so brutally stupid that I wonder how they made it past editing. Ryan and Dalila were both decent characters. Each were fairly fleshed out with backgrounds, motivations, and fears. Although, I felt that Ryan was a bit more developed than Dalila. I was fine rooting for the relationship. I specifically liked the flirting between the two before things were more concrete between them. But I also felt like things moved too fast. I didn't feel like the two knew each other well enough to have moved into the level of feelings they claimed to have or the physical level they reached. My second biggest issue with Crossing the Line was how emotion driven it was. This is an odd thing for me to complain about because usually I love and devour books driven by emotion. But I guess my struggle was that the emotions didn't feel mature or healthy exactly. Ryan has the self-deprication thing down thinking he's unworthy of Dalila. This isn't surprising given his background. But it also isn't exactly healthy. The whole "made me feel" thing...while sure we certainly feel emotions as a result and reaction to other people, I've been struggling with the idea that no one else can make us feel anything. We are in charge of our own emotions and to advertise differently is to weaken the power within each one of us. At one point Dalila asks Ryan what he's thinking about and when he doesn't go into a soliloqy about his love for her she's disappointed. I loathe the "it feels so right that it can't be wrong" mantra because that's nothing short of what drug addicts or alcoholics must think. And to let our emotions rule us beyond reason is no better than either of these addictions. Dalila also asks Ryan to be open with her while immediately thinking that she doesn't intend to be open with him. Talk about hypocrisy. Not exactly the best foundation for a relationship. Not to mention the repeated lies Dalila tells him. So I guess while normally I love relationships where the love between two characters drives the story, the relationship between these two didn't exactly give me the warm and fuzzies due to the immaturity and unhealthy nature of some of the statements mentioned above. In relation to the major plot line of the mystery behind who the bad guys are, every single thing that I predicted came true. I was starting to wonder if I was wrong in my guesses, but nope. Turned out right. I don't say this to brag that I figured it out, but to point out that I don't enjoy predicting every twist. I actually enjoy being surprised. Yet that didn't happen for me in Crossing the Line. And actually, similarly to my frustration with how quickly Ryan and Dalila jumped in their relationship from zero to together, I felt the same way with how quickly things wrapped up, all of the bad guys were revealed and their motives as well. It all felt too rushed to me. I know that after reading this review one could conclude that I really disliked Crossing the Line? But that wasn't the case. I did enjoy it. Minus these issues. The things I took issue with were just easy to point out. Despite my frustrations Crossing the Line gets 3 Stars. 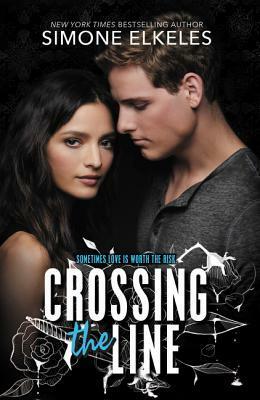 Have you read Crossing the Line ? What did you think? Let me know!